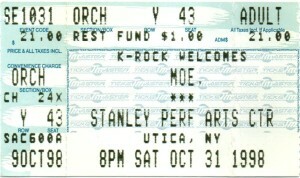 Its a nice little bit of synchronicity that today June 2 marks the 20th anniversary since the first time I saw moe. live. I attended that show at the late lamented Brownies on Avenue A after reading about the band in the print edition of the Village Voice. At that point, moe. was a new-ish band from Upstate that had just started to get some attention outside of their home region. By the end of the 1995, the band would never look back and clubs the size of Brownies were soon a thing of the past. But every once in a while, moe. returns to their roots and on Sunday night they played a semi-surprise show at the 200-capacity venue The Cutting Room on East 32nd Street. The size of the venue meant that we were happy to run into a lot of old friends and that gave this show a nice intimate feel. The band seemed to recognize that and opened with several of their older numbers, including a monster “Timmy Tucker” — a song also played at Brownies two decades ago. The second set stepped into the present day, as the band proved that the potential that they showed all those years ago has become fully realized. This is a performing unit that has such an intuitive ability to read and react to each other so well that the transitions in the improv sections are stunningly tight. This set contained mostly instrumental passages built around the song “Kids”, which began and ended the set. In between we got a nice oldie in “Brent Black”, a powerful drum interlude, and two late-era instrumental numbers. We’ll see moe. again on a big stage at Mountain Jam this coming weekend, but for this one night it was fun to take a trip back to the old intimate venue shows. 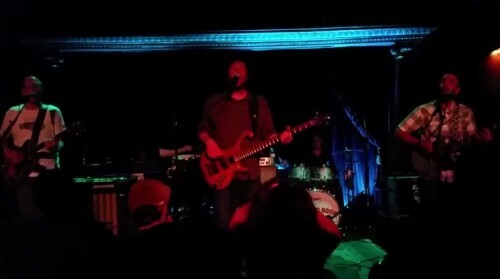 I recorded this show from our little makeshift taper’s section in the middle of the floor about 20 feet from the stage. I utilized the Grace V3 in front of the Schoeps cards to add a little warmth and presence to what was essentially an “upfront” recording. Other than some fairly persistent crowd chatter (louder in the first set), the overall quality of this recording is quite outstanding. Enjoy! If the horrific Metro North crash on February 3, 2015 that took the life of my friend Eric Vandercar and five others taught me anything it was only to reinforce the notion that life is inherently unfair and at times utterly senseless. Eric was a superior individual — a man with a profoundly successful career, a wonderful family and a large variety of engaging and eclectic interests. The news reports have described him as a “banker”, which is kind of like describing Lincoln as a politician. Eric was at the forefront in the creation of varieties of municipal bonds, essentially for nearly thirty years creating the finance mechanisms that allow cities to raise funds for development. In his free time Eric was also one of the most prolific and knowledgeable tapers of the last twenty years. He was also a skier, a diver, and a world traveler. Ultimately, there was very little that Eric Vandercar did not do in his too-short 53 years of life. But here we are two weeks removed from the accident, and its time that I choose to rise above the anger and the sadness and begin the healing process by remembering Eric for the good he brought to this world in the best way I know how — the recorded music. In a way, Eric and I lived parallel lives. When we were both newly married and living a short distance apart in NYC we spent a lot of time together going to shows locally and on the road from about 1996 to 1999. When each of us had children and when the Vandercars moved upstate, we saw each other infrequently. But with Eric, it was easy to pick up where we’d left off before. The last time I saw him we chatted for a while in the taper’s section at a Phish show on Randall’s Island, and talked about those old days when we’d sit for hours in his Elizabeth Street apartment and listen and swap the latest DAT recordings. One of the more memorable trips I made with Eric was the moe. Halloween show in Utica NY in 1998. On previous roadtrips we’d gone with groups of tapers but for this weekend jaunt it was just the two married couples driving north in Eric’s SUV. I’d never been to Utica (before or since) but my memory was a small city similar to countless others in Upstate New York. We’d booked a hotel a short walk from the venue — a classic old theatre that had been renovated and renamed the Stanley Performing Arts Center. moe. were dressed in holiday costumes and kicked of the show with a straight forward “Reaper” cover before working through familiar material from this era in the band’s history. The show is notable for the appearance of a then-obscure local guitarist Joe Bonamassa, who has subsequently gone on to have a terrific career including a Grammy nomination in 2013. Other highlights include a very lengthy segment in the second set of Timmy > Brent > Moth with varied teases and short jam interludes in the suite. 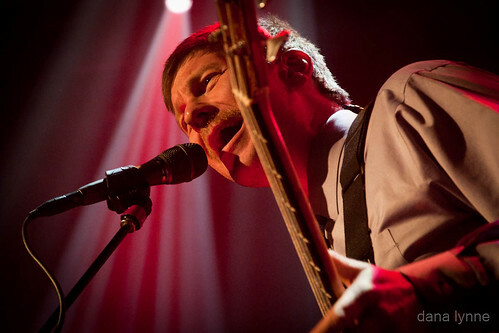 This show was recorded by Eric with his trademark B&K 4021 microphones from a position at the front and center of the balcony. I had a seat on the floor, so before the show I gave Eric my Sony portable DAT deck and a couple of tapes and he did the rest patching my deck into his deck. So while I technically have “master” tapes, these are really “ericv” masters. His master of this show has not previously circulated before now. On playback, the second set was extracted flawlessly but the first set had a few bits of digital static. It took me three plays to get this transfer of the first set. Not bad for a pair of seventeen year old DATs that I don’t remember ever actually playing. I will be extracting more of Eric’s DATs in the immediate future and posting them here. In a very large way, NYCTaper would not have existed without the influence of Eric Vandercar on my own personal approach to taping and trading. I’ll be talking about that influence in future posts. This Recording is available for Download in Flac and MP3 at Archive.org [HERE]. Stream the entire show below. My favorite moment of this moe. concert sort of encapsulates the dedication of this long-running prog-jam band and the allure that they offer dedicated followers. In a well-planned act of tribute to their friend, at the very moment when “Rebubula” returns from near silence to a resounding jam, two of taper T.J.’s buddies shouted for all of the microphones to capture “TJ Samulis 100th show!”. For those who think tapers are humorous killjoys, I thought this was not only hilarious but also a great little “watermark” on the recording. Its that kind of personal touch that comes directly from the band — guitarist Al Schnier reads fan-created “announcements” before the encore segment of every show, and the band themselves have always mingled among the fans when possible. Indeed for the last twelve years, moe. has hosted their own Labor Day festival, moe.down, which has also expanded to include a winter “snoe.down”. On this particular night, the second in a two-show Terminal 5 Thanksgiving weekend run, the band brought out all the stops. There were classics, some serious jam vehicles, some rare songs, and a full two and half hours of music. We are streaming “Brent Black”, which is pretty much a microcosm of the show itself. The song is a moe. classic and this version spans twenty-three minutes, contains a dual drum segment, and a bass solo. Pretty good for a 100th show. I recorded this set from the front of the soundboard booth, which was caged at the rear of the floor. I raised the pole up to about 12 feet, and ran both the Neumanns and the DPAs, but also included the Apogee “Mini-me” A/D unit in front of the Neumanns to enrich the hypercardioid sound. Other than a consistent din of audience chatter, the sound quality is quite excellent. Enjoy! 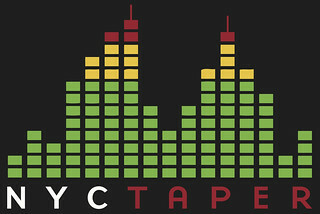 If you email nyctaper for access to this recording, we expect that you will PLEASE SUPPORT moe. and buy their official releases at their website. moe. Live Downloads can be purchased directly from a link at the moe. site [HERE].